Original M1-GO Dancing Godzilla 1965 GID Glowie! – SOLD!!! | The Kaiju Fan Marketplace! 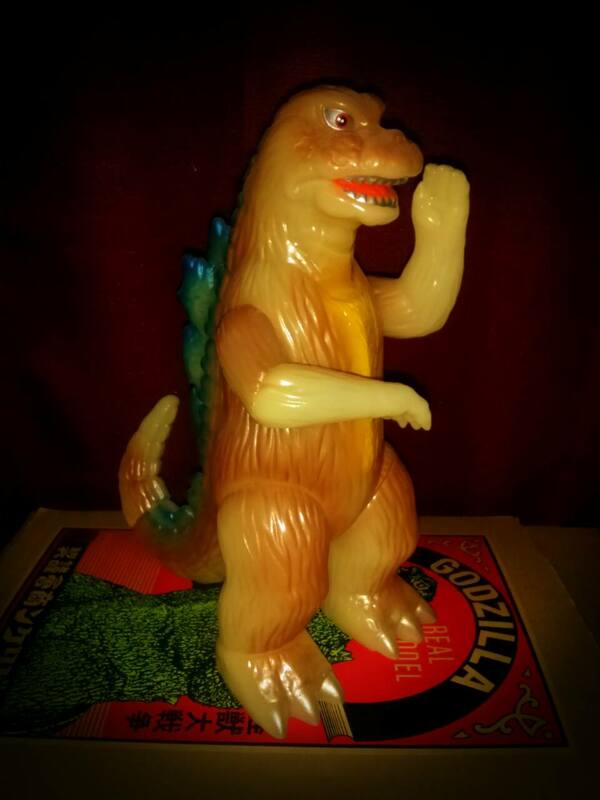 Original M1-GO Dancing Godzilla 1965 GID Glowie! – SOLD!!! February 21, 2015 February 21, 2015 / Jon D. B. Here he is, people – the original Dancing Godzilla vinyl! This standard sized 9″ vinyl was cast in GID (glow in the dark) vinyl, and is painted with brilliant bronze and yellow highlights – with glowing blue spines! This original M1 is a stand out, and will set you apart from all the posers and their green reissues (har de harr harr). He comes to you straight from Jon’s collection, a wondermous no-smoking, experienced collector’s environment! Boo yah! Kindly taking offers! ← PRICE DROP – CCP 30cm (12″ inches) hard vinyl MAGULAR! $200 Shipped!